This May marked our 20th year in our beautiful Hayes Valley boutique, and we'd like you to come celebrate with us! For our platinum anniversary, we are thrilled to launch an exciting new collaboration: Revelation in Fit will be bringing expert bra fitting for every size to 321 Linden St. Dark Garden and Revelation in Fit are teaming up to bring you the best in luxury corsetry and fine lingerie. We believe that the perfect fit is found where beauty and comfort converge, no matter your size. The Dark Garden legacy includes the only standard fit corset line designed from decades of experience in bespoke corsetry, a tradition we continue to this day. Revelation in Fit is a full service bra boutique, carrying sizes 28-46 A-KK from such favored brands as Marlies Dekkers, Scantilly by Curvy Kate, Montelle, and Panache. If you've been by the boutique of late, you may have already noticed we've been experiencing a transformative period. Last September we upgraded our floor to a lustrous hardwood, and we have moved our Couture consultations, creation, and fittings upstairs to our new penthouse suite. The latter served to make way for Revelation in Fit to take up residence in our existing mezzanine, giving it a fresh look and more fitting rooms. The front of our shop also got a little facelift – a gorgeous glossy black exterior, and our beautiful new logo emblazoned in gold! Please come celebrate with us on July 8th. 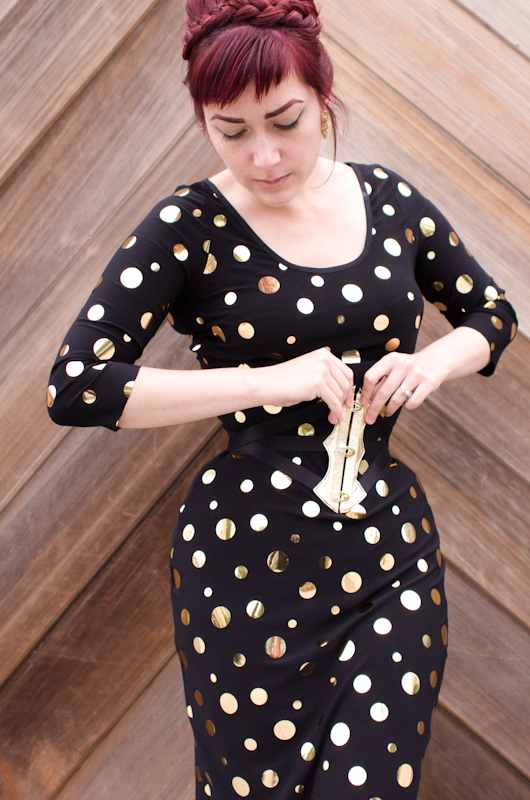 During the day, Revelation in Fit will host a trunk show with featured vendor Panache. Take a sneak peek at Panache's fall offerings at this pre-order party, then stay for the Anniversary / Launch Party from 4 to 7pm. We'll have libations and live entertainment, including models showing off our stunning wares. Keep an eye on our Facebook and Instagram for more details! At Dark Garden we’ve been working with our clients to create one-of-a-kind ensembles since we opened our doors to the public. Whether you're seeking wedding couture or simply a statement piece for your rock-star life, we'd love to work with you on a custom look. Starting with our signature foundation garments, one of our designers will create a singularly stunning outfit which reflects your personal style and taste. To see some of our previous collections and samples, go to our Gallery. To get started right away, email couture@darkgarden.com with a little bit of information about your vision! 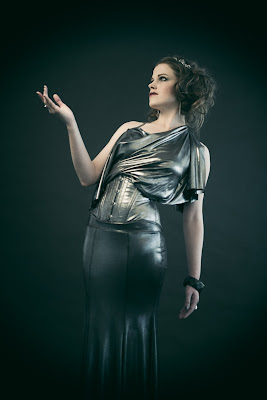 Over the years, Dark Garden has created outfits for a wide variety of occasions. From the red carpets of Hollywood to Burning Man to Venice’s famous Carnevale, the Dark Garden label has been worn by a diverse array of fascinating lovers of beauty. 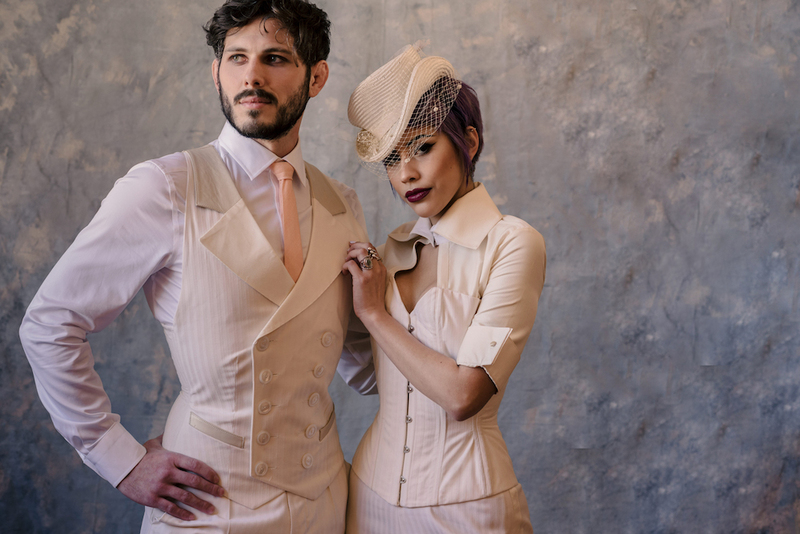 Our designers keep up with modern trends as well as being acknowledged experts in historical period fashions, so appropriate attire can be created for any affair. The process begins with a mini consultation so we can pair you with the best designer for your vision. We have three Couture designers: Autumn Adamme (Dark Garden Proprietress & Lead Designer), Kalico Delafay (Designer of Dollymop), and Marianne Faulkner (Corsetrix of Pop Antique; Couture Coordinator). Each has their favored aesthetics, but are very versatile, and used to working closely with each client to meet their needs and style. You’ll share and discuss your ideas with your designer, who will refine them into a single cohesive look. Once a direction has been agreed upon, budgets are estimated, timelines are planned, and details begin to coalesce. The creation process begins on simple paper, as an expert patternmaker exactingly cuts a new pattern to your measurements and create a fit prototype. Through a series of fittings in both muslin and luxurious final fabrics, adjustments will be made to ensure a perfect fit. During your fittings, you may find that your vision has refined or expanded! Your colors may evolve, new elements will be added, and embellishments will be refined. This is usually part of a Couture design collaboration and one of the joys of custom work. The process will end with a truly collaborative piece of wearable art. Although we have some oft requested styles, each design is created for the individual with uniqueness and personalized fit. We usually work in all silk with lining and fine finishing. Embellishments such as lace appliqué, sparkles, etc., can double or triple the cost of the garments. As each ensemble is unique, our price range varies widely, from about $2,000 to $20,000 and up. A budget can help guide design, materials, and construction choices. After meeting with your designer and making some choices, our Couture Coordinator will give you a detailed quote for the ensemble. Please contact couture@darkgarden.com with questions and inquiries! If, by chance, you've already had an ensemble made by us, please help us out by leaving us a review on Wedding Wire. You're invited to join Dark Garden for our first photography exhibition! On Saturday, April 8th, we will host an opening night salon to showcase the work of Ultravolta Photography (Edward Saenz). La Femme Sauvage is a collection of images featuring powerful women, bold corsetry, birds of prey, stunning California locations, and the occasional skeleton. And, naturally, our proprietress Autumn Adamme will discuss her experience modeling whilst clad in leather and fur with a raptor perched on her hand, as shown above! Thereafter, Edward's gorgeous large format prints will be displayed in our boutique for several weeks. We encourage you to stop by and appreciate his work even if you can't make it to our opening night salon! Additionally, we will be closed on April 16th for Easter Sunday, and on May 21st for Bay to Breakers. As ever, we are happy to do corset fittings and bespoke consultations on a walk-in basis during our regular business hours! If you'd like to make an appointment with a member of our design team, you can now schedule with us online by visiting darkgardencorsetry.appointy.com. This is a particularly wonderful time of year to make a consultation appointment for a Couture or Wedding ensemble – feel free to email couture@darkgarden.com for a brief "pre-consultation"! We'll see you here soon in corset heaven! After a delightful inaugural year of our quarterly corset lacing workshops, we have decided to move the event from Friday to Saturday nights for 2017! Please come and see us, and learn everything you need to know about lacing into and unlacing a corset. 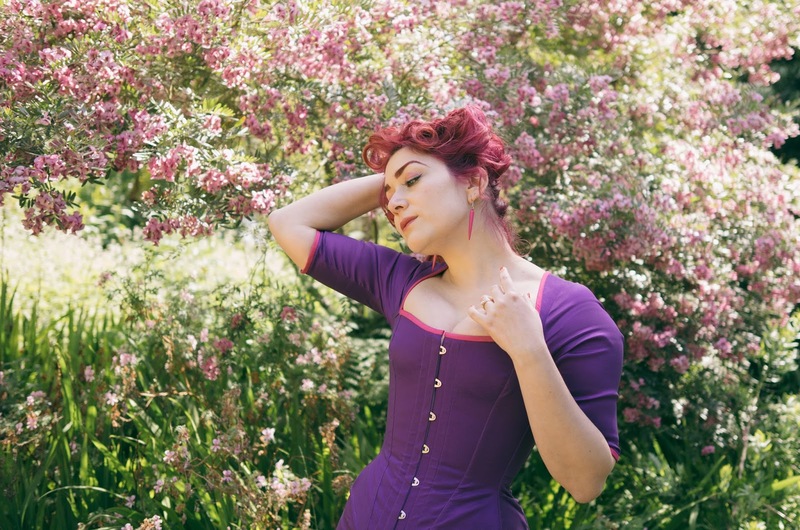 Attendees will learn to put a corset on themselves or a partner, and all corset related questions are welcome! 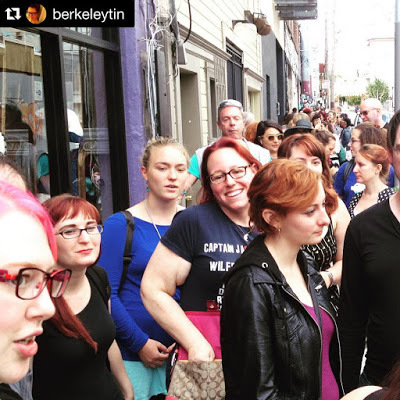 We are ticketing through EventBrite, but the event remains free to attend and we will likely have a little bit of room for drop-ins! As ever, follow Dark Garden on Facebook to see our upcoming events. 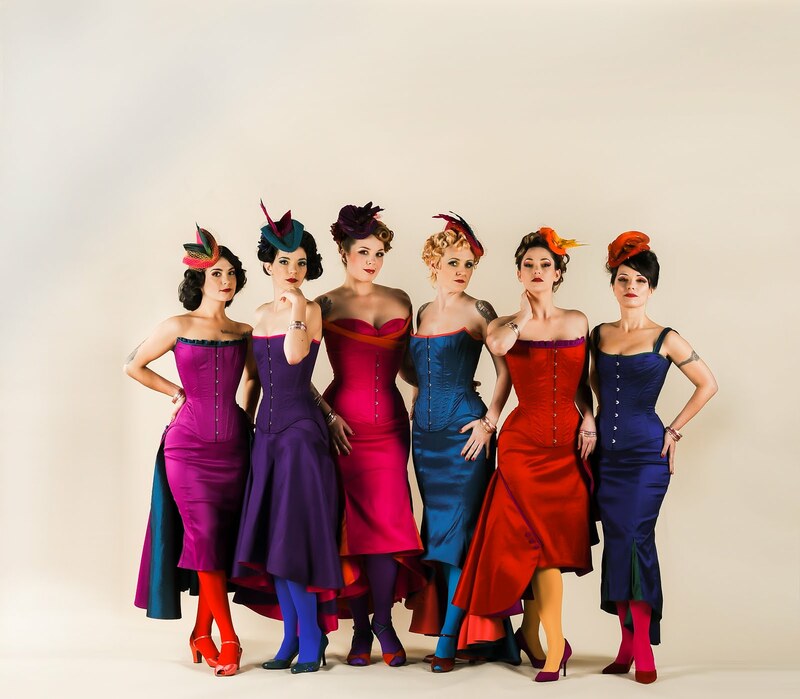 As ever, we're also happy to email our corset lacing instructions, or walk you through the process over the phone!